SMARTS Student Piano Lessons provide you with a premier piano experience like nothing you’ve experienced before! Our Yamaha digital piano lab is the only one of its kind in the Mahoning Valley where students will gain piano skills and are part of a musical community. Being part of a piano lab is a unique experience because when we work together everyone achieves more. Students interact with the teacher and other students through the use of state-of-the-art technology designed to personalize their learning experiences and meet every individual student at their skill level. SMARTS teachers are professionals in their field and come to us with years of experience and expertise. 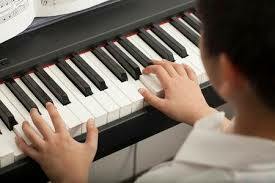 SMARTS piano lessons are once a week and include piano skills and music theory. SMARTS makes sure to complement our hands-on-music lessons by teaching topics such as rhythm, chords, notes, octaves, scales, music notation, and so much more. Our curriculum is designed to instill a core understanding and provide a comprehensive learning experience for every SMARTS student. Our facility, equipment and teachers make this a program you can’t find anywhere else in this area! Requirements: All SMARTS Piano Lessons are free to you but attendance, hard work, practice and dedication are required from all of our students. If you know that your SMARTS Music student cannot attend one of his/her scheduled lessons, you must call 330-574-2787(ARTS) to notify SMARTS of an approved absence. If your SMARTS Music student misses more than 3 lessons, he/she will be asked to withdraw from this session of SMARTS Piano lessons, giving another student the opportunity to participate. There will be SMARTS Piano Practice Cards issued and each student must practice at least one hour a week between weekly lessons. Our suggestion is 15 minutes a day/four days a week, but you can decide what works for you, as this is the minimum requirement. Remember, students will learn more with more practice. SMARTS piano students will take lessons for the entire year and showcase their hard work at Art You Can Hear on May 2, 2019. Want to be a rock star but not too keen on starting a band in your parent’s garage? Join this gig! We’re looking for guitarists, drummers, singers, bassists, keyboardists – you name it. 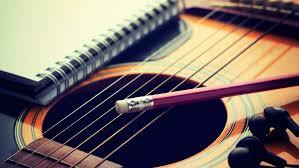 In this class the students will be working together to write original songs. Throughout the process, students will get a hands-on experience of being "in the band” from the initial stages of collaborating with each other to complete their own songs, to rehearsing together and finally recording their songs! Students of this class will get a fuller appreciation of music creation, teamwork and what it takes to actually record a hit song and perform a live show as a real band! The SMARTS Rock Band will showcase their original song(s) at the SMARTS Holiday Open House during the last class. Students must be proficient with their instrument and comfortable reading rhythms and notes to enroll. This fun Hawaiian instrument has captivated audiences with imaginations of island life for years, but it’s not only an instrument you hear on vacation. 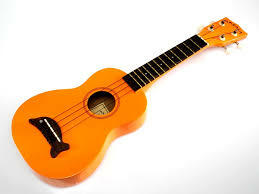 The ukulele appears in many recent top radio hits, such as Train’s “Hey Soul Sister” and Jason Mraz’s “I’m Yours.” The simplicity of the ukulele makes it a great first step for anyone interested in learning guitar! In this beginner’s class, students will learn harmony and melody relationships, as well as rhythmic structures and coordination. The class will focus on basic chords and rhythm patterns that can be utilized solo or in conjunction with the group. No previous experience is required to attend this class. Don’t have a ukulele? SMARTS can help you purchase one for a discounted price of $20. SMARTS Violin lessons give students the opportunity to investigate the world of strings in an exciting and informative private lesson setting that will surely allow each student to fully explore their artistic expression. The SMARTS Violin program is a premier program with SMARTS. Students work in small groups of either 3 or 4 with the violin instructor, and parents welcomed and encouraged to participate. In a 75-minute session each week, students will learn to identify musical terms, music theory, musical styles, history, maintenance, and the basics of musical performance on the violin. Personalized and tailored instruction is designed to utilize each student’s current abilities and then building skills upon that foundation. The emphasis of this class is on the pedagogy of the violin, a full-spectrum view of string performance is obtained. This type of enrichment and one-on-one attention is something you cannot find anywhere else in the Mahoning Valley! Students will be required to journal their time on a practice card. This is the first beginner-level violin class offered at SMARTS. It is a pre-requisite for all other violin classes. 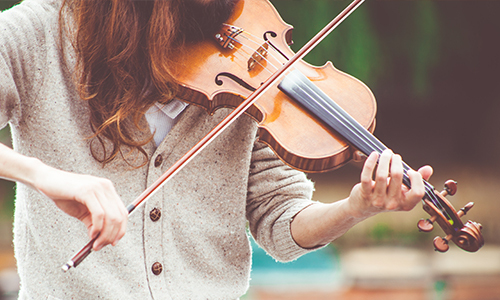 If a student has prior violin skills, they may opt to take a skills assessment with a SMARTS Instructor by appointment to place into a higher class. This is the second beginner-level violin class offered at SMARTS. Violin 1A is a pre-requisite for this class. If a student has prior violin skills, they may opt to take a skills assessment with a SMARTS Instructor by appointment to place into a higher class. A family drum circle is a noisy and fun, family friendly event, where people come together in order to connect in the entertaining and rhythmic experience of a percussion ensemble. This class is meant to empower one another in the act of celebrating community and life through rhythm and music. People of all levels of musical expertise are welcome and encouraged to participate! Come together and share in this rhythmical experience; everyone has something to offer the circle! In this class, students will learn everything from the basics of music theory to jazz harmonies, basic ear training skills, music transcribing techniques, improvising solos, learning jazz repertoire, and interacting and communicating through music. All instruments are welcome, including voice, and students new and old to jazz are invited to join! 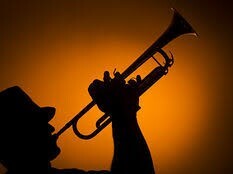 You will be swingin' cool lines and creating strong grooves using the beautiful art form of jazz! Students must be proficient with their instrument and comfortable reading rhythms and notes. Learn the nuts and bolts of songwriting – rhyme, story, emotion, and word choice. 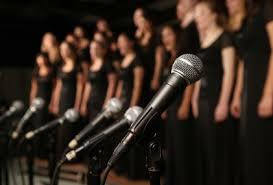 Then learn the function of the parts of a song – verse, chorus, and bridge. Put them together to create compelling lyrics and melodies! Experiment with different singing styles while reviewing the basics of breathing technique, solfege, and tone. This class will collaborate with the SMARTS Rock Band class, so that students will learn how to write lyrics to song tracks already created by SMARTS Rock Band students. From start to finish, students will learn the process of developing a song idea and completing a composition that can be sung and performed! Learn how to develop your body’s primary instrument – the voice – to make music! SMARTS Voice lessons are taught by a trained vocal coach who will help you learn technique, breath control, enunciation, pitch, and reading music. Bring a song you’d like to sing in a genre you love to the first class! 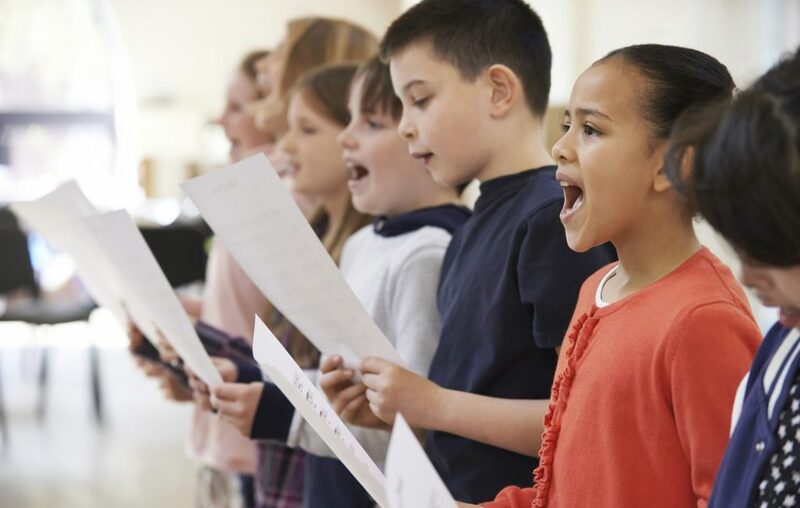 The SMARTS Pop Choir is a fun class where students will be able to learn more about their voice and artistry through singing an array of genres of pop, such as K-Pop, 1990s Pop, and current Pop. This class will venture into the principles of singing. In unison and harmony, students will sing their favorite songs! Gain an appreciation for the performance of pop by using light choreography to engage with an audience. This class will teach basic music reading skills and listening skills required to sing with a group. 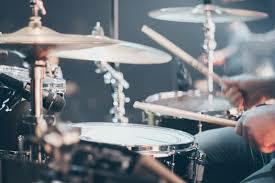 The goal of this class is to develop proper technique on hand drums using light auxiliary percussion. Focus will be on bringing out students' musical abilities and expanding on them. 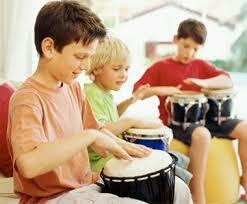 Students will also work to create music in a group setting and learn to interact with their peers. These skills include listening, responding, improvisation, adapting, understanding music vocabulary, and working together. 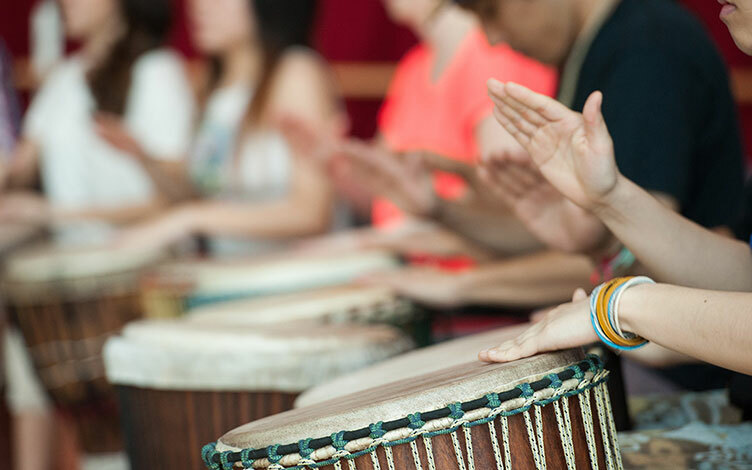 By the end of the class, students will be connected musically as a fully functioning rhythm circle. SMARTS Beats is a music-based learning opportunity for students with special needs. Eligible students are pre-K to grade 12, must be enrolled in special education services through their local public school district and have a current IEP or 504 plan in place. SMARTS Beats classes are taught by our highly trained staff but our policy requires that an adult accompany each student to class. If you have any questions, please do not hesitate to contact us via email or give us a call at (330) 574-2787. Thank you for your support of SMARTS!